Faced with a plot of woodland, the question is often - should it be managed or merely left to nature? The answer will vary depending on the purpose of each individual wood in question. Management will be necessary where economic products such as timber or game species are to be the end result. Other less tangible benefits such as conservation of wildlife and recreational opportunities will usually also require management. Where the primary purpose of a woodland is economic, for example, to produce a crop of trees for wood products or gamebirds for commercial shoots, then management will undoubtedly be necessary. This may involve removing competing species, controlling pests, predators and diseases, as well as ensuring adequate nutrition for the economic species involved. No management is certainly an option, but it is never going to produce an economically viable product. Where the purpose of a woodland is for wildlife benefit or conservation, no management might be considered to be an option. However, it is probably safe to say that within Britain, no single woodland has remained uninfluenced by human activities. This is because woodlands provided essential materials for every day living. In pasture-type woodland, sheep and cattle would also be grazed. Pigs would be turned out to eat acorns and beech mast in the autumn. Thus woodlands were of great economic importance. 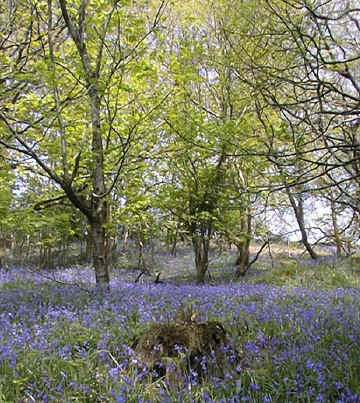 The species which inhabit Britain's woods are therefore there in many cases because of past activities such as coppicing, rather than despite them. They are present because the conditions which prevail in such woods fit their habitat requirements. Species such as these have developed in tandem with man's influence over the centuries. Activities such as coppicing in woodlands provided a vital, continuous local supply of wood products in the past. This had the side effect of continually creating new glades in woodlands to replace those which had grown over with time. This encouraged great biodiversity in the coppiced woodlands. Wildflowers, grasses and brambles would progressively colonize each new glade as the tree canopy was opened up. The animal species associated with these plants would also then follow. Removal of all human activity within a woodland will usually result in the development of dark, dense woods. This will favour a relatively small number of species which prefer this type of habitat. However, it will also result in the elimination of all those species which either require higher light levels, or which are dependent on other species with this requirement. If high biodiversity and a wide range of woodland species is the goal, then management will be necessary to create structural diversity within the woodland. 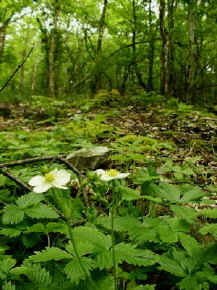 A woodland may also be managed in order to favour the conservation of particular species, for example, the dormouse. This will usually also have the side effect of promoting a whole range of other species with similar habitat requirements. Woodlands can be and often are, managed simultaneously for commercial products, conservation and recreation. However, this inevitably leads to conflicting needs and management has to be flexible enough to make decisions based on whichever is the current priority.